Today I’m excited to share my first gift guide of the season! 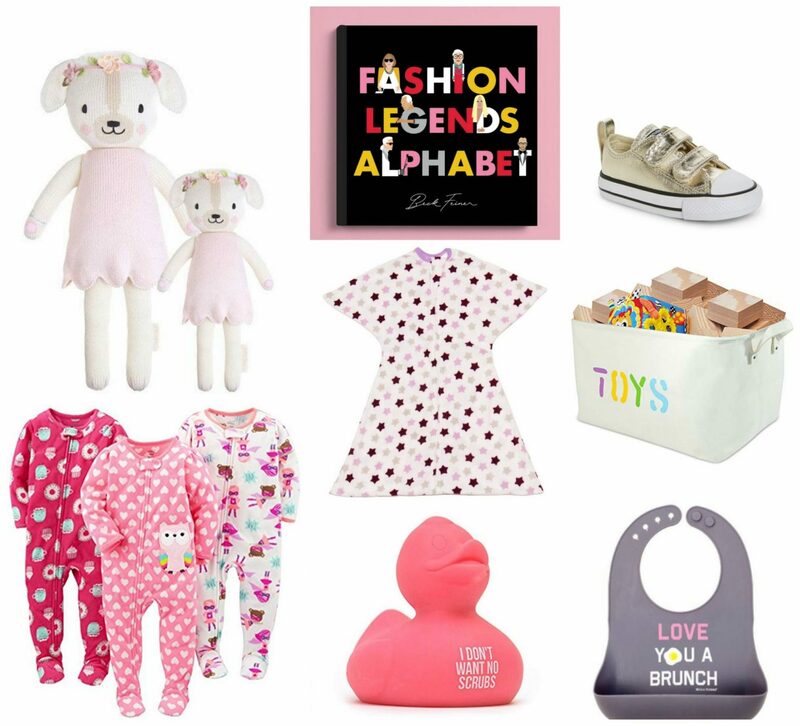 This gift guide features all items for the baby girl that’s on your list this year. These are all actually items that are on Charlotte’s Christmas list which she crafted herself of course. My favorite item is this this adorable doll from Cuddle + Kind which my husband and I purchased. This doll’s name is Charlotte so we couldn’t pass it up, and for each doll purchased 10 meals go to a child in need which is even better. I’m also in love with this ‘Fashion Legends Alphabet‘ book, and they have a few other varieties too that I really like including ‘Lady Legends Alphabet’ book. Let me know if you have any other gift ideas for baby girls!